A modern bakery in the centre of Wroclaw! 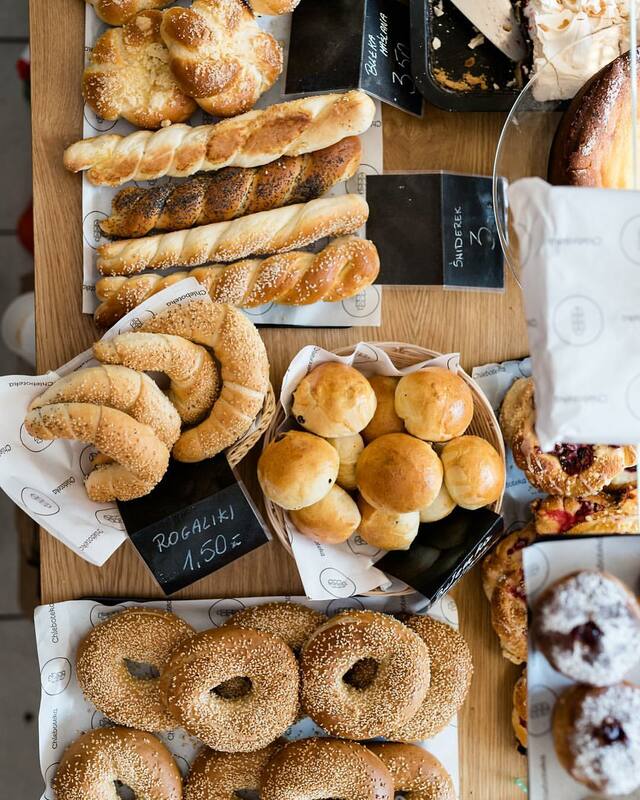 Chleboteka is a modern bakery in the centre of Wroclaw, where we bake traditional bread, rolls and cakes, taking care of every detail. This place was created because of our love of the taste and smell of the original bread, that is why we use only the best flour and natural sourdough. The process of making our bakings can last up to 48 hours! Everything is done to achieve an extraordinary taste from three basic products: flour, water and salt. Each loaf of bread is being baked from the flour coming from small farm mills with multigenerational traditions, like the one in Jordanów Śląski, Kopytowa or Dąbrowica. Visit us, show your ESNcard and taste delicious breads, baguettes, focaccia, cakes and our natural ice creams with 10% off for everything available!